On my walking tour of Lisbon, our guide stopped at this famous little shop that sells ginjinha. 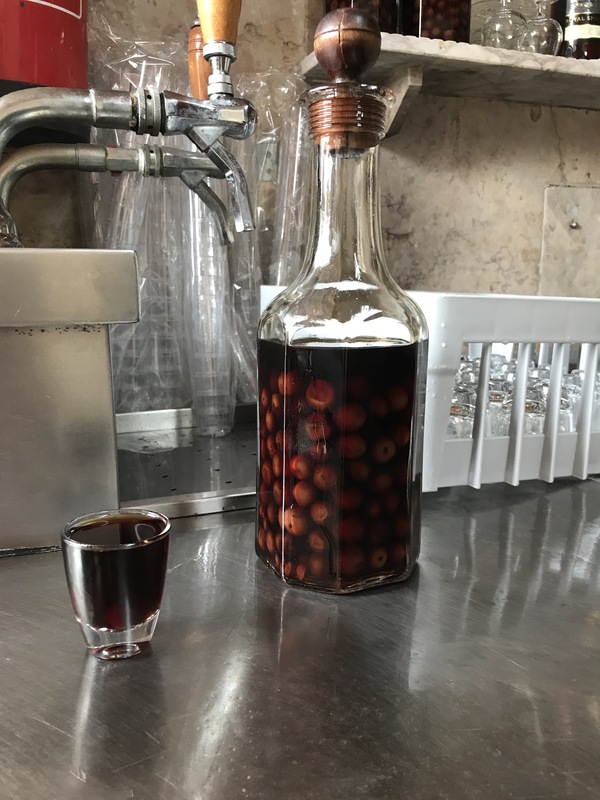 Ginjinha or simply Ginja, is a portuguese liqueur made by infusing ginja berries, (sour cherry)in alcohol and adding sugar together with other ingredients. It’s served with a cherry in the bottom of each glass. I was told that the monk in the church (Praise the Lord!! )who first came up with this popular drink promised it would bring health and joy. Our guide said he wasn’t sure about the health benefits but he could confirm that it has brought many people great joy. I thought it tasted like cherry cough syrup. A joyful thanks to our fellow taste testers who posed for this shot….rather…. this picture. 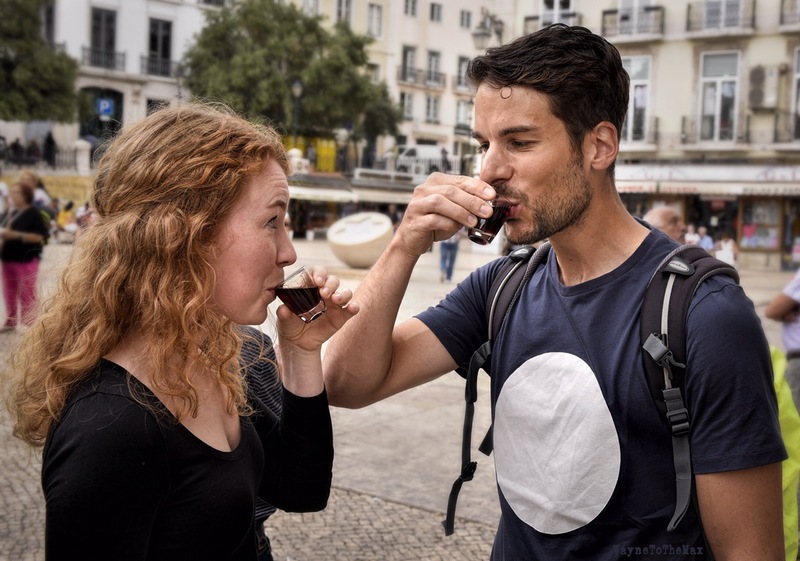 This entry was posted in Food, Photography, Travel and Destinations and tagged alcohol, cherry, couple, D750, drink, friar, ginja, ginjinha, happiness, health, iPhone, joy, Lisbon, monk, Nikon, Portugal, sour, Tour. Bookmark the permalink.